What Will 2010 Bring to Gamers? 2010 is going to deliver on heck of a gnarly playing field for gamers. With new titles that we are just itching to get our fingers on, and futuristic creativity that we have only dreamed about as children are finally coming in to play; literally! 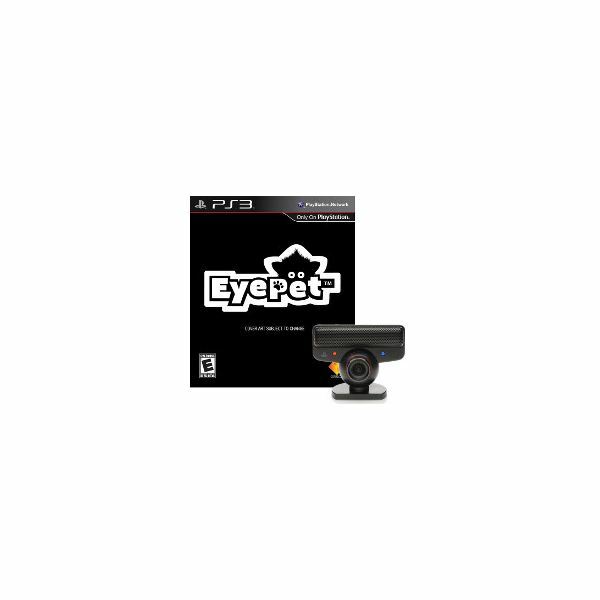 What Is The PS3 EyePet? PS3 EyePet delivers one of the most adorable virtual pets I have ever seen to date. This unusual quirky video game for the Playstation 3 does not offer ordinary game play though; thanks to the Playstation 3 Eye, the EyePet will deliver virtual reality right smack in the middle of your living room. EyePet is basically a virtual pet that you customize from top to bottom. The critter has an odd monkey like appearance to it, with a very cool similarity to a neat little stuffed animal monkey many of you probably had as children (Remember the monkey that was capable of shoving his plastic fingers up his nose?). The EyePet uses the Playstation 3 Eye in order to capture a replicated mirror image of you and your surroundings inside of your television screen. While the virtual pet is not going to literately jump from your screen and dance around in your living room, it will place you inside of the screen making it feel as if you are really there right beside your pet. With you now ‘inside’ of the screen, you can interact with your pet. You can play with him, pet him, and give him all the love a virtual critter could possibly ask for. 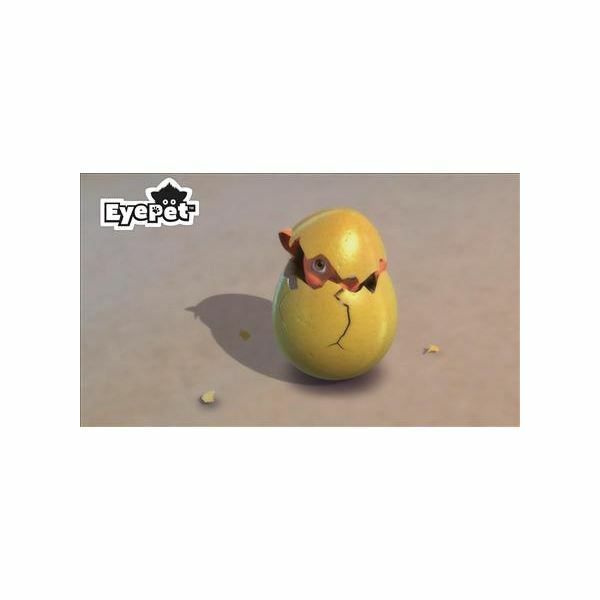 EyePet is a very creative game that has literately thrown the player into the game with such perfected detail that virtual reality and reality become merged in to one. EyePet is hands down going to be one of the hottest, must have video game titles for the Playstation 3 in 2010. I am sure many of you remember carrying around ridiculous Tamagotchi’s as children, and your children probably tote around those ridiculously overpriced stuffed NeoPets. I personally had numerous Tamagotchi’s, and no matter how often I took care of the little pixelated virtual pets, the poor little guy almost always died. Virtual pets have been totally transformed thanks to EyePet. No longer will you have to worry about batteries running out, or our pets dying because we did not feed it every 10 minutes. Nor do we have to worry about the dog getting hold of a stuffed NeoPet and ripping it to pieces. Gone are the days of routine virtual pets tasks. EyePet delivers players a customizable ‘oh-so-adorable’ creature that you won’t get bored of. The EyePet will react to your movements, and the included ‘Magic Card’ allows you to play games with your pet. 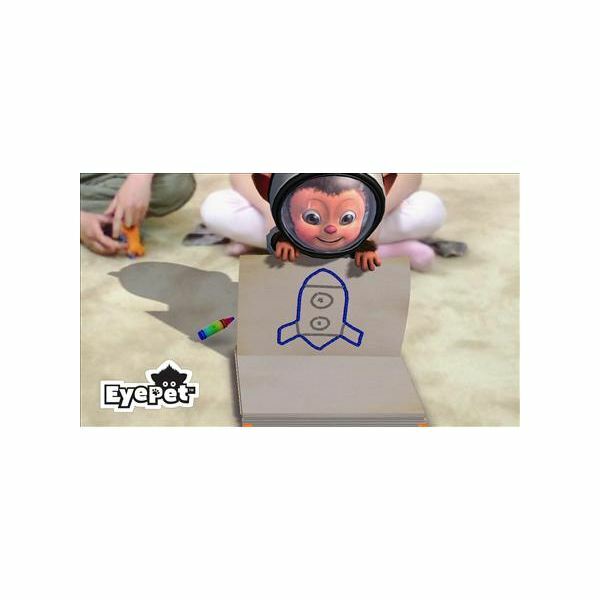 The most unique thing about EyePet is that you can draw out objects on paper, and your creations will transform into actual objects to give to your pet. Draw a car, hand it over to your pet, and watch him ride it! When you give the creature your drawing he will try to trace it out and replicate it. The more you draw, the better he/she will get at drawing. The EyePet is like a perfected Furby. This little critter is about to change the way Playstation 3 games are played, opening doors to future perfected Playstation 3 Eye compatible titles. The most exciting news about EyePet is that users who have been given the chance to test drive the game are saying that the game actually works! Many were skeptical about the controls responsiveness, but the moment they got to playing it were amazed at how flawlessly EyePet worked. What you have been seeing in all of the current EyePet videos is what you get! Things have not been altered to look better than what they really are. Playstation 3 EyePet was supposed to be released by the end of 2009. It would have been marvelous if the game was released right before the Christmas rush. Unfortunately those anticipating the release of EyePet will have to wait till 2010. EyePet is scheduled to hit shelves on April 6th 2010, which is quite a ways away. Fortunately I think that the wait is going to be well worth it! The title will be released alone for those who already own the Playstation 3 Eye, and it will be released in a bundle which will include the Playstation 3 Eye.